Since penicillin was isolated from a fungus in 1929, mankind&apos;s stockpile of antibiotics has expanded to include a diversity of life-saving compounds. However, from streptomycin in the 1940s to synthetics such as ciprofloxacin in the late 1980s, they are losing their effectiveness. 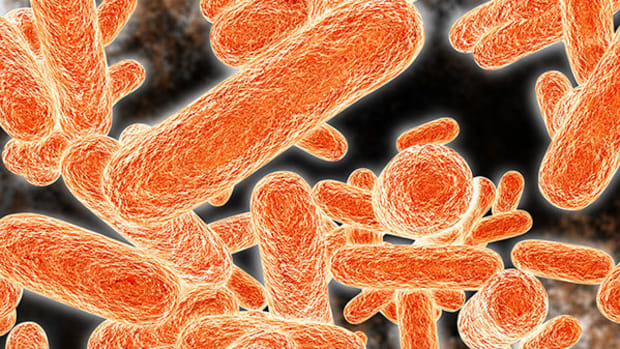 While the idea that we are losing some potent antibiotic weapons is widely known, that&apos;s not the same as it being widely understood, says Jo Handelsman, Howard Hughes Medical Institute professor of microbiology at Yale University. She cautions that what researchers know and what the public knows are not the same, noting that from a list of questions in a survey of scientific knowledge among the general public, not a single person could describe the how antibiotic resistance comes about. Muddying the waters further is the difference between resistance in the wild and resistance in the hospital. "We have surprisingly little data about antibiotic resistance in natural environments. It hasn&apos;t been the strongest area of research," Handelsman says. "What has been focused on is antibiotic resistance in clinical settings -- and from patients, and from that we know an awful lot about the genes and mechanisms of resistance." For bacteria, defeating antibiotics in the clinical setting is just a matter of carrying a ton of weaponry and letting natural selection do the rest. The process that results in the fearsome superbugs that threaten modern health systems is driven by "pre-existing variation" in a population of bacterial cells. "You have all sorts of mutations — genes in one organism that aren&apos;t in another, and when a selection pressure comes along, it determines which ones survive," Handelsman says. In any bacteria population, she says, "about 1 in 1 million to about 1 in 10 million cells will have a mutation that makes it resistant to a particular antibiotic. That is not that frequent, but if you imagine that you then apply antibiotics to it, and every single organism among that million will die except for the one that is resistant — that is what we call a powerful selection." Those that survive duplicate themselves and dominate in the next generation, and characteristic of bacteria, they often have more than one way to propagate their resistance traits. "The way that antibiotic resistance genes are carried makes them very easy to transfer," she says. Aside from passing them along to their offspring when the cells divide through mitosis, resistance genes can be passed around among bacteria very handily in small bundles of highly mobile packets of DNA known as plasmids. Like freelance arms traders, these bubbles of genetic material can move among neighboring bacterial cells conferring the ability "to destroy antibiotics, or pump them out of the cell," or depending on the genetic coding, providing instructions that "allow the cells to survive when the antibiotics are around." And in this way, "bacteria that are very distantly related can share antibiotic resistance." By example, a recent study in Nature Communications reported that a gene called IncP-1, carried by plasmids, and which is known to convey antibiotic resistance, can readily take up residence and adapt to function in unrelated species of bacteria. Meanwhile, as drug-resistant pathogens multiply, and their defenses become more effective, the pipeline of new antibiotics is drying up. Research has uncovered "a multitude of antibiotic compounds" produced by naturally occurring bacteria in the soil (the path followed in developing streptomycin), but only a select number of these reach the market. Some are rejected because they&apos;re not potent enough, others because they are too toxic for human use. But with the emergence of antibiotic resistance genes, some of which make infectious bacteria invulnerable to all known antibiotic medications, Handelsman says it&apos;s time to dig up some new cures. The prevailing metaphor used to explain the diversity of antibiotics found in the soil has been that the bacteria use their complement of antibiotics and resistance strategies in a microscopic battle for survival. But Handelsman says close observation doesn&apos;t fully back up the warfare analogy. Although numerous antibiotic compounds can be found among various types of bacteria in the soil, they are seldom found in caches heavy enough to suggest they could be used to subdue competitors. While digging in the dirt may yield real benefits in this fight, few pharmaceutical companies seem likely to pick up their spades. Antibiotic treatments for infection are usually inexpensive and quick, completed in most cases within seven to 10 days. By contrast, Handelsman says, when drug companies develop a drug to lower blood pressure or cholesterol, for example, "patients usually take it for the rest of their lives." 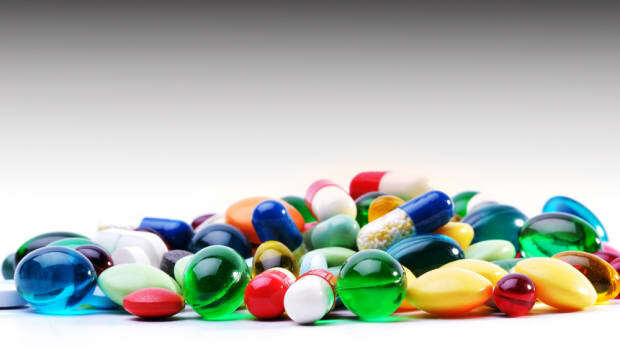 Such repeat use — requiring repeat purchases — is much more attractive in determining what gets research and development funding within the pharmaceutical industry, especially since bringing a new antibiotic to market can cost from $100 million to $1 billion. Meanwhile, say industry analysts, a drug approval process that mandates exhaustive testing and can span a decade has left some manufacturers disillusioned about antibiotic research. Handelsman cites a recent pullback at Pfizer from antibiotic research and development, leaving "just four major companies worldwide, carrying the entire antibiotic industry, and in most cases they don&apos;t have a massive effort going on either. "Because of this lack of profitability we&apos;ve lost this vast amount of research that used to go on in the private sector. "It&apos;s a very frightening time because we have all the resistance developing to the antibiotics we&apos;re using. The probability that an infection can be treated with one of the known antibiotics is going down daily, and we don&apos;t have the replacements coming down the pipeline." Antibiotic resistance genes have appeared in meat products on U.S. grocery shelves, in hospitals complicating patient care worldwide, and this spring they&apos;ve been reported in the water supply in New Delhi, India, associated with the germs that cause cholera. However, not all bacterial infections should be treated with antibiotics. E. coli, for example, seems to respond to medication by producing a toxin that can kill. In the case of deadly cholera, while antibiotics can shorten the disease&apos;s duration, whether the bacterium is or isn&apos;t resistant makes little or no therapeutic difference. In this case, the corrective for cholera remains rehydration, without resort to antibiotics. Likewise, the preventative measure remains clean water and good hygiene. The finding, nonetheless, does hint at the potential mobility of antibiotic resistance genes beyond the health care setting. One major issue assisting resistance genes in the United States, Handelsman says, is the routine use of antibiotics in livestock. More than half of the antibiotics administered in the United States are delivered in animal feed, not to fight any specific disease. She argues the practice is as worrisome as it is unnecessary. The antibiotics apply an ongoing selection pressure, cultivating resistance among the bacteria in the livestock. And, studies have shown that farm workers, have acquired resistance genes identical to those detected in the animals that they tend. 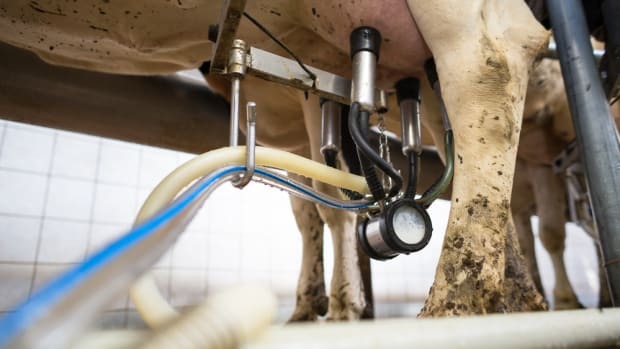 Handelsman adds that, since antibiotics pass through the animals&apos; digestive systems unchanged and come out in their urine, the selection pressure can spread downstream. Handelsman is not alone in her concern. A decade ago groups like the Union of Concerned Scientists and the Environmental Defense Fund were warning about farm-related antibiotic resistance, and the Pew Charitable Trust started a "Human Health and Industrial Farming" campaign to draw attention to it. By last year, the U.S. Food and Drug Administration drafted regulations on "the judicious use of medically important antimicrobials in food-producing animals," but the pace and direction wasn&apos;t fast enough for some antibiotic advocates. Citing the hazard of emergent superbugs from the agricultural sector, in May the Natural Resources Defense Council and several co-plaintiffs sued the FDA to make it ban the use of antibiotics in livestock for purposes other than treating illness. The plaintiffs note that a similar ban in Denmark, in effect since 1995, has tamped down on antibiotic resistance genes throughout the society, without compromising animal health or agricultural production. While the debate over antibiotics on the farm heads to court, people from U.N. Secretary General Ban Ki Moon to health officials in the Obama Administration have called for increased government involvement in new drug discovery and development, with the National Institute of Health taking a leading role. A former CEO of Merck, a company whose track record includes conquering river blindness in the developing world, and that maintains a major commitment to infectious disease control and antibiotic research, holds a contrary view. Quoted in The Wall Street Journal, Ray Vagelos said the NIH in particular should refrain from getting involved in drug development, and should focus on basic research and supporting the work of up-and-coming scientists, leaving the search for specific cures to the private sector. Handelsman however, believes tackling resistance calls for combining government and industry efforts. She suggests, economics being what they are, there may be a case for government incentives to encourage greater private sector investment, but that government policy should also give the subject top priority for academic research. She offers another dose of realism. "There is no question that we will need new antibiotics as long as humans are on the Earth, because the bacteria aren&apos;t going anywhere. They will outlive us for a long time and they will always cause infection in some shape or form." The world’s most ubiquitous organism could save millions of lives — if only they could get a new tryout. The FDA bans injecting chicken eggs with antibiotics as a human health threat but backs down when industry groups — known collectively as 'Big Chicken' — squawk.